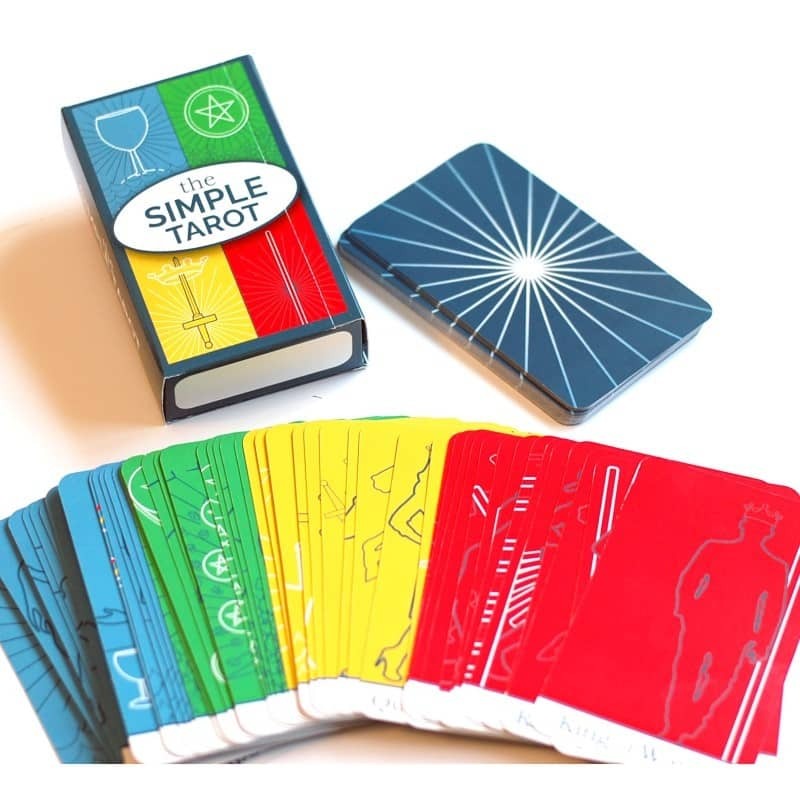 The Simple Tarot Deck is a modern 78-card tarot deck designed to make learning the tarot simple and fun. It comes in the Beginners Version (with keywords) and the Classic version (without keywords). This Kit includes a 120+ page companion guide with simple explanations for the cards and clear instructions on how to use them to brainstorm new ideas, strengthen your intuition, and discover new ways of thinking. The Simple Tarot Deck follows the Rider-Waite-Smith traditional symbolism and meanings and comes in two versions. The Beginner’s Deck includes keywords printed right on the cards, and the Classic Deck shows just the images (without keywords). It was created and illustrated by Angie Green and can be used as tarot flashcards. It includes a 100+ page companion guide with simple explanations for the cards and clear instructions on how to use them to brainstorm new ideas, strengthen your intuition, and discover new ways of thinking. The cards measure 2.75″ x 4.75″ and are printed in the USA on high-quality black-core card stock. The Simple Tarot Deck with Companion Guidebook Kit includes a 100+ page companion guidebook and 2-page Tarot Cheat Sheet in a two-piece box.